Victoria Varga came to Delaware Tech because it provided her with focus and opportunity. With the help of a SEED scholarship, she began the nursing program at the Stanton Campus directly after high school. Victoria’s caring personality and commitment to the program impressed both her instructors and her fellow students. 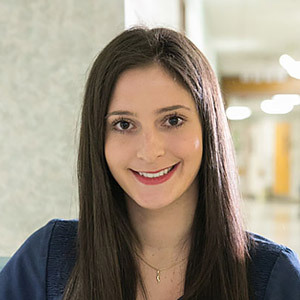 During her time at Delaware Tech, she earned a Mardi Gras Scholarship, served as treasurer of the Student Nurses Association, and received the Frank Linzenbold Award for the nursing graduate who exemplifies caring. Victoria also took advantage of Delaware Tech’s study abroad program while in school, traveling to Mexico with a group of fellow nursing students. The perspective she gained in this experience has helped her to be a more empathetic nurse to her patients at Christiana Health Care System’s Wilmington Hospital, where she works as a Registered Nurse (RN) in the stroke unit. The same could be said for Victoria who is now active on the board of the Delaware Nurses Association, an extension of her leadership experience at Delaware Tech. Victoria was recognized by her peers as one of Delaware’s top nurses by Delaware Today in May 2013. She has received numerous citations from her patients for her knowledge and caring attitude.